Make your Dell™ system a champion by upgrading with memory specifically engineered and tested for your system. At Dell we focus on quality parts and rigorous testing so that your system can tackle the challenges faced by high-end operating systems and multimedia applications. 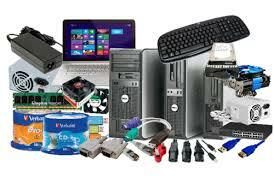 With Dell Memory we also offer a limited lifetime warranty and the benefits of Dell’s service and support. Trust only Dell Memory for your next Dell system upgrade! On a system configured with 4 GB of memory (RAM), Microsoft® Windows® will report 3.0 GB to 3.8 GB of available memory. This is normal for 32-bit versions of Windows (the most common versions). A 64-bit operating system (Microsoft Windows 64-bit version) is required to utilize 4GB or more of memory.